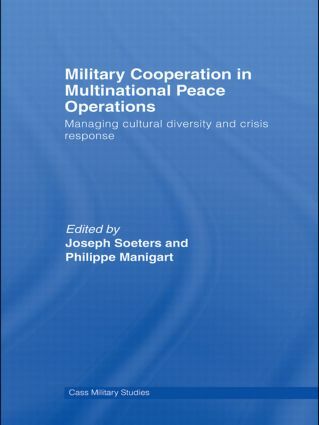 This edited volume uses theoretical overviews and empirical case studies to explore both how soldiers cope with the new forms of cultural diversity occurring within various multinational military operations, and how their organizations manage them. Military organizations, like other complex organizations, are now operating in an ever more diverse environment, with the missions themselves being ever more varied, and mostly conducted in a multinational framework. Members of the military have to deal with a host of international actors in the theatre of operations, and do so in a foreign cultural environment, often in countries devastated by war. Such conditions demand a high level of intercultural competence. It is therefore crucial for military organizations to understand how military personnel manage this cultural diversity. This book will be of much interest to students of peace operations, military studies, international security, as well as sociology and business studies.